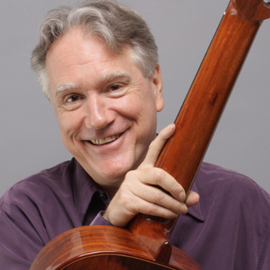 Artistic director of 92nd Street Ys Art of the Guitar series, BENJAMIN VERDERY has been chair of the guitar department at the Yale University School of Music since 1985, as well as artistic director of the Yale Guitar Extravaganza. As a performer, Verdery has given concerts around the world, with repeat appearances at the International Guitar Festival (Singapore, 2011), the Festival International de Agosto (Caracas), the Schubert Festival (Bad Urach, Germany), the Chamber Music Society of Lincoln Center, the Metropolitan Opera (NYC) and elsewhere. Among the composers who have written works for him are Daniel Asia, Ingram Marshall, Anthony Newman and Roberto Sierra. As a composer, Verderys works are published by Doberman-Yppan, and have been performed by such artists as John Williams, Sergio and Odair Assad, David Russell, and the Los Angeles Guitar Quartet. In addition to his solo career, Verdery has appeared with such diverse artists as Hermann Prey, John Williams, Paco Peña, Leo Kottke, Andy Summers and Jessye Norman. He has performed duos with his wife, flutist Rie Schmidt, and with steel guitarist William Coulter. As a recording artist, Verdery has released over 15 albums, all available on Amazon.com. His latest include Happy Here (2011), with William Coulter, First You Build A Cloud (2007), a collaboration with Andy Summers of The Police, and Branches (2007), a solo album featuring arrangements of Bach, Mozart, Strauss and Hendrix. His recording, Start Now (Mushkatweek), won the 2005 Classical Recording Foundation Award. His website is www.benjaminverdery.com.